While sifting through archives, came across this media report in DNA of 21st June 2010. Wondering, why these people have remained silent since then? Has the Church authorities stopped illegal sale of Church land? We don’t think so. Church authorities will not let this goldmine slip out of their hands so easily. More than just rhetoric, it needs a concerted effort by all. A persistent approach is needed to put a stop to this plunder of Church properties, by some corrupt members of the Clergy, who are misusing their authority as SOLE TRUSTEE. 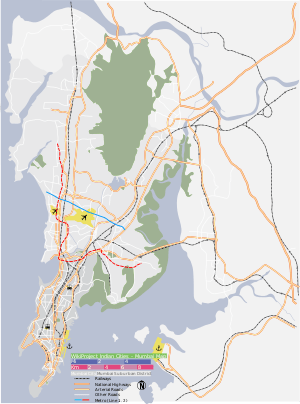 Taking a cue from their Anglican brethren, who have launched a full-throttled war against the illegal sale of church land, the influential East Indian community, too, has decided to knock on the doors of the archbishop of Mumbai, Oswald Gracias, demanding that church land should not be handed over to developers and realtors. If the archbishop pays no heed to their demand, the community outfits will take out a protest march, spearheaded by the Mobai Gaothan panchayat, on Saturday. Mobai Gaothan panchayat is a citizen activist outfit comprising representatives of gaothans across the city. The protesters will demand that church land be used for constructive work only. Along with the gaothan activists, Bombay Catholic Sabha, Mumbai Easter Association, National Association of Fishermen and Dharavi Bet Bachao Samiti, too, will join the march. Ladislaus Pereira, a sarpanch of Gundowli in Andheri, said that land donated to the church for evangelical purposes have been sold off without the consent of the Catholic community. “Sacred Heart in Santa Cruz, Holy Family in Andheri, St John’s in Thane, Marinagar in Mahim are the parishes that have been sold off to realtors,” he said. The East Indian community is surveying how many acres of land have been disposed of to developers. His car skidded off the road and he was flung outside in a deep gorge. A Catholic priest and a student died when they fell into a deep gorge in Arunachal Pradesh. The incident happened when Father Shijo Paul, an assistant posted at Holy Angels Parish at Tajo in West Siang, and his co-passenger Raju Bunyi, a grade five student, were returning after a village visit Thursday. Their car skidded off the road while negotiating a narrow patch of a rain-battered road. The vehicle slipped towards the edge of a cliff, got stuck mid-way and the deceased were flung outside. Father Paul belonged to the Itanagar diocese of Arunachal Pradesh. A large number of priests, religious and laity paid their last respects to the deceased priest. Father Paul’s body is being taken to Shillong, Meghalaya, for funeral. Tok Butum, president of Arunachal Pradesh Catholic Union (APCU), Taw Tebin, general secretary APCU and Toko Teki, general secretary of Arunachal Christian Forum have expressed grief over the demise. She is the first woman professor of New Testament at Jnana-Deepa Vidyapeeth, a Pontifical university in Pune. Pope Benedict XVI has invited an Indian Catholic nun to participate in the next month’s Bishops Synod in Rome. “The Holy Father has appointed me as one of the auditors for the Synod,” Sister Rekha M. Chennattu, the provincial superior of the Religious of the Assumption of the Indian province, told ucanindia.in today. “I consider it a special grace and responsibility to participate in the discussions, highlighting the Indian perspectives as an Indian religious woman and a biblical scholar and theologian,” the nun said. The nun said she would seek clarity on understanding and implementing the idea of new evangelization in the Catholic Church in India amidst its multi-faith and multi-cultural context. She said those participating at the synod as audi�tors are given an opportu�nity to ex�press their opinion in the small language groups or in the auditiones during the plenary sessions. “During the days of general discussion, provision is made–depending on the time available–for auditiones, that is, opportunities for those who are auditors and fraternal delegates to speak on a subject di�rectly related to the topic of the synod,” Sister Chennattu said. The nun, who is a member of the Indian Women Theologians Forum and Indian Biblical Scholars, said in the context of secularization which ignores the presence of God and the sacredness of the cosmos, the real challenge is to find creative ways to preserve the dynamic and rich heritage of Christian faith to enhance life and inspire hope for future generations. The other Indians invited for the synod by the Vatican include Cardinal Oswald Gracias, Cardinal George Alencheery, Archbishop A. Malayappan Chinnappa of Madras, Archbishop Filipe Neri Ferrao of Goa, Bishop Joseph Kallarangatt of Palai, Bishop Stanley Roman of Quilon. Pope Paul VI established the Synod of Bishops on September 15, 1965 in response to the desire of the participants of the Second Vatican Council to foster the spirit of collegiality they experienced at the council. It said religious leaders should restrict themselves to temporal and religious activities. Bangalore:The Karnataka high court has strongly criticized a prelate for speaking on the issue of land for a church-run leprosy center at a time when the matter is sub judice. “Has he (Archbishop) become a legal expert? Shall we issue contempt (notice)? The archbishop has no business to speak on the (pending) issue,” said chief justice Vikramjit Sen. He was speaking on the comments of Archbishop Bernard Moras of Bangalore on the issue of the state government deciding to take back most of the land of the Sumanahalli Society, run by the archdiocese since 1978. Sen said that religious leaders should restrict themselves to temporal and religious activities. Senior advocate Raviverma Kumar, appearing for the leprosy center, told the court that the prelate’s statements were only against the state’s decision to limit the extension of lease to 5.23 acres and take back 48.23 acres. He said the centre is looking after leprosy patients who were once beggars and needs the land in its drive to completely eradicate the dreaded disease. The chief justice said there is no doubt that the leprosy center is doing a yeoman service. “I know how these centers receive funds. But there is no dearth of funds. The question is why do you want the land which is someone else’s?” Sen asked. The bench then directed the government to file a status report on the facilities available at the Beggary Relief Center. It also asked for a report on the money received by way of beggary cess along with the property tax and its disbursement. Franciscan Realism and honesty both fascinates and challenges humankind today. Many want to identify with, and connect with Francis and his story. From Franciscan Spirituality we can derive naïve spiritual honesty. This Spirituality is not a matter of superficial and spontaneous naivety, but rather one of depth and commitment. 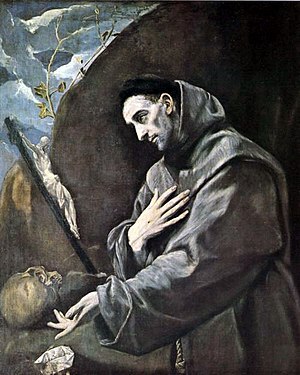 Franciscan Spirituality does not constitute the point of departure, but rather the point of arrival, through hard work which separates out deceitful passions and resolves itself in a heart-filled benediction or bowing in obeisance before the whole of creation. Only when we walk in the footprints of Brother Francis will we be able to transcend from worldly frivolities to mystic introspection. 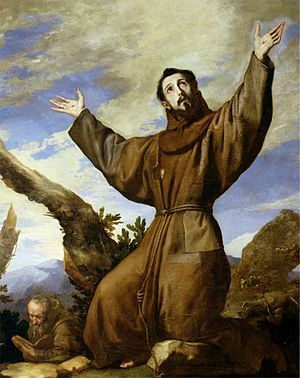 The Franciscan Revolution has a solution to the Ecological Disconnect of today. Franciscan Spirituality is a Spirituality of Relationships. 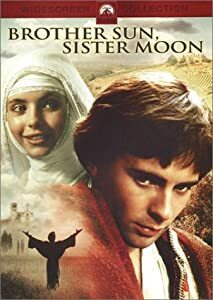 Francis related to all of God’s creatures which is why, he could colloquy with Brother Sun, Sister Moon, Brothers Wind and Air, Sister Water, Brother Fire, Sister Mother Earth and even Sister Death. Way back in the 13th century Francis (1182-1226) was aware that the Cosmos was not a collection of objects but a communion of subjects. He was part of a whole-the huge cosmos. This realism that Francis comprehended made him come across to others as a great paradoxical figure. Hailing from a rich cloth merchant’s family, he chose to dump it all and embrace Sister Poverty. Being a man of passion who loved women, he willingly vowed his life to chastity. By temperament he was an artist, who loved the pleasures of the natural world, yet he decided to live an austere life. He was willing to give up everything, to the extent of portraying himself as clown, who stood on his head in order to see the world aright and he did see the cosmos aright! Yet he often described himself as God’s fool. Only posterity can decipher that he was not mad, but a sane creature who comprehended God’s ways. Francis knew that in the great adventure of life on Earth all of God’s creatures have a role to play. Every species has its place. No one is either useless or harmful. We all balance one another. It was this deep insight that compelled Francis to say, “Let the Sister Weeds grow”- being the first human to call the weeds, Sister Weeds and to care for them too, to grow. This realism encouraged the Holy Cross Hazaribagh sisters in Bettiah (North India) to decide during their National Chapter in 2009 to create a “Franciscan Forest” by setting aside 5 acres of land for natural growth. Like Francis they believe that all of God’s creatures have a right to grow and bloom including the weeds, the mosquitoes, the snakes, the rats, the worms et al. In a Spirituality of Relationships all our problems can be sorted out, by talking with each other, by adjusting and accommodating, thus giving space to all. Francis set the example. When the wolf of Gubbio troubled the villagers, to the extent that they all lived in fear and trepidation, the villagers decided to complain to Francis. Francis who had attained the ability of communicating with all God’s creatures, gently called the wolf and explained to him, how his bad behaviour had become a source of nuisance for the villagers. The wolf bowed down in shame and humility before Francis. It was finally amicably settled and agreed upon that the wolf and the villagers live together in peace and harmony. The villagers gave the wolf food and he stopped terrorising them. What was more, it is reported that when the wolf died, the whole village cried for him. He had become a part of the village family. A strong bond was created between him and the villagers. We too need to create strong bonds with Mother Earth, feel for her and care for her and cry with her and with all other creatures of God. As we celebrate the Feast of St Francis of Assisi, the Patron of Ecology on 4th October 2012, let us adopt the Hindu and Bahai ideology of Vasudhaivakutumbakam-the whole world is one big family. Let us make the Franciscan Spirituality of Relationships a reality in our lives by reducing our carbon footprint, increasing our Hand Print and living in peace and harmony with all around. (With Inputs from Dr (Fr) Robert Athickal SJ, Director Tarumitra Bio-Reserve, Patna.